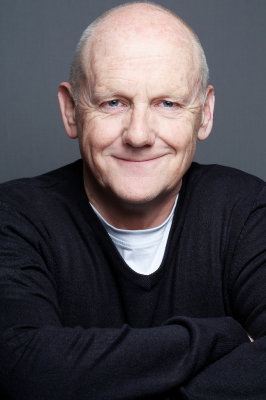 Before formally training in psychology I was a professional actor - working to understand human suffering and motivation from the inside out. After many, many years of training and experience, I now have a very BIG bag of tools and approaches. I promise to help you from the first moment we meet and for as long as you need, and importantly, no longer than necessary. I am governed by the very strict ethics of the British Psychological Society (www.bps.org.uk) and the GHSC. Above all though in this harsh world I work with kindness, acceptance and understanding - it is a partnership between you and me, both of us working purposefully together to solve the issues that are in your way - let's face it, there is simply not enough of those three qualities around these days. I use a unique blend of the best psycho-social therapy techniques to bring about swift and lasting change for the better in your life. 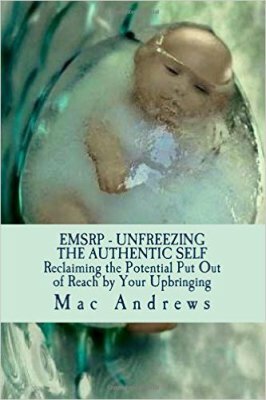 My book, "Unfreezing the Authentic Self: Reclaiming the Potential Put Out of Reach by your Upbringing" outlines my life's work, the principles of which lie behind everything we will do together. Whatever the human issue (and I've seen versions of them all one way or another) you need to have a guide on the journey who you can trust, who knows what they're doing, and helps you grow towards not needing a therapist at all. The best therapy happens inside a relationship based on mutual respect, mutual trust and mutual interaction, including and especially a good laugh together. I am not a 'blank wall' therapist, we'll do a fair bit of talking together. Above all, what we do in our sessions proves itelf in the fabric of your everyday life - great therapy leads to a great life - that's the objective. Your relationship with a therapist is deeply personal - so I invite you to come and see me free of charge to see if it feels right for you before you decide whether or not to work with me - no invisible strings attached and absolutely no secrets or hidden agendas. MAC ANDREWS,PG dip Mental Health Science, BSc hons (Psych), RBC dip, MBPsS GQHP, GHSC. "You sometimes meet people who truly give you those "aha" experience where all the bricks fall into place and everything seems clear - Mac is one of those who do just that. I had the pleasure of working with Mac and get to know his unique understanding of human behaviours." “Your process for the first time enabled me to become aware of and hence step out of my singular and fairly negative view of myself. It educated me in the phenomena of shame and my inner child and the powerful impact that past events and stories had on my life and my behaviour. It created a safe,and creative space in which I could address these very deep and real personal barriers and in the end find a sense of inner peace that I never knew could exist. It also allowed me to take care of myself. I have done much work since to continue this personal journey and have continued to achieve significant things in my life but I can honestly say that it was your process and specifically you who opened the door to this possibility. "